Don’t miss this year’s 4th Annual Running of the Turkeys, set to kick-off at John DeBella’s Annual Turkey Drop on Sunday, November 24th! 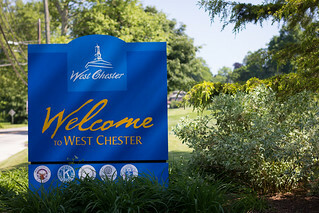 The event is a unique 1-mile run around West Chester’s business district, starting and ending at the corner of Chestnut and Church streets. Participants in the run dress up and carry frozen turkeys to be donated to City team Philadelphia, a nonprofit company that donates food, diapers, formul, and other household items to families in need. All you need to participate is one frozen turkey. Registration begins at noon on the day of the event, at Kildare’s Irish Pub. The first 150 people to register will receive a free Running of the Turkeys T-shirt. To learn more about the event or to learn how to donate at DeBella’s Turkey Drop on Nov. 24, visit http://www.wmgk.com.